She hasn’t given up her dream house, but the new Barbie knows how to code like a boss. Dressed in a ponytail, sneakers and with a robot in tow, the "Robotics Engineer Barbie" hit toy stores Tuesday with the aim of piquing the interest of young girls in science, technology, engineering, and mathematics or STEM careers. Since 2010, Barbie, which has over 200 career dolls, has launched architect, game developer, and scientists dolls, as part of its strong focus on the underrepresented STEM field. According to the U.S. Department of Commerce, only 24 percent of jobs in STEM are held by women. “The goal of the dolls is that when she picks up the doll that little girl can play out that role in her own living room and really imagine herself and future self in one of these roles,” Michelle Chidoni, vice president of global communications for Mattel, told ABC News. The team worked closely with female engineers at the Massachusetts Institute of Technology (MIT) to ensure the doll, priced at $13.99, looked authentic, Chidoni said. The new barbie comes with a free online course in coding for young children. 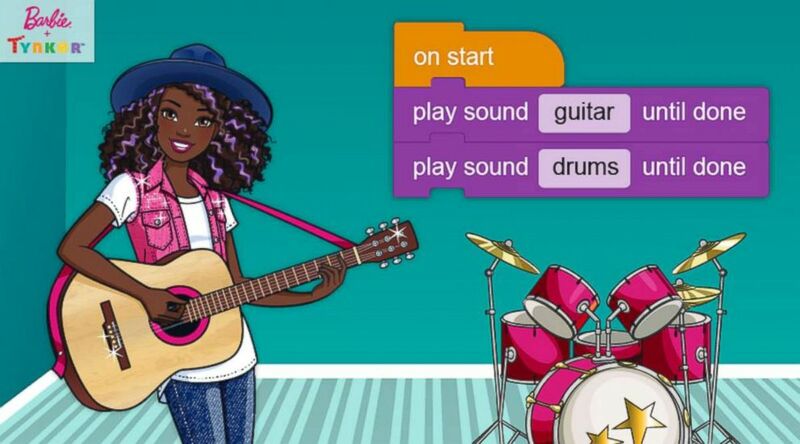 Barbie has also leveraged its multi-year relationship with Mattel, which is its parent company and Tynker, to push forward its educational coding platform for children into more than just a doll but a multimedia experience as well. Chidoni told ABC News that with Tynker's help Barbie can also enable little girls to "go online" and "apply the skill and learn it" so that their interest in STEM goes beyond playing with the doll. “[It] allows a physical doll play where girls can imagine that they can be anything, particularly robotics engineer in this case, and then they can go online and through six free coding courses via Tynker, they can actually apply the skill and learn it and really potentially engage in a career in STEM in the future,” Chidoni explained. With eight different ethnic variations and careers spanning musician, pastry chef and even beekeeper, diversity was the biggest focus for the brand, said Srini Mandyam, co-founder and CTO of Tynker. Tynker offers six free coding courses across diverse careers including musician, pastry chef and bee keeper. 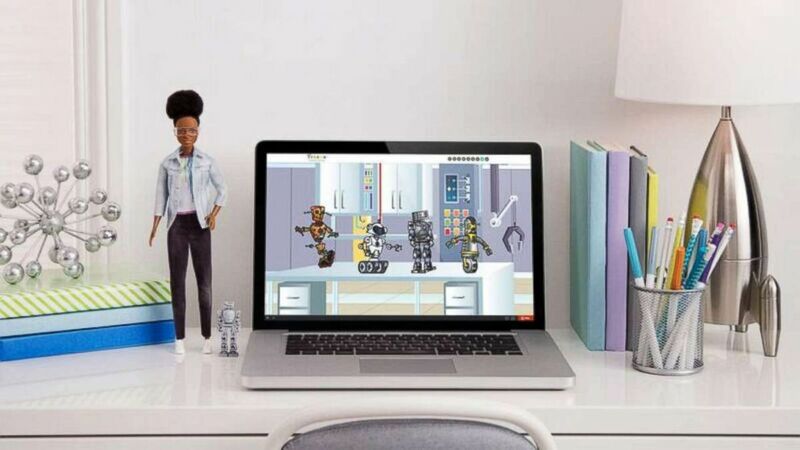 In February, Tynker, which has worked with other Mattel brands like Hot Wheels and Monster High, announced that the two companies were committing to introducing at least 10 million children to coding by 2020. Mandyam said that nearly half of that goal has already been achieved. Brands play a large role in shaping the goals of young children, said Alaina Percival, CEO, board chair and co-founder of Women Who Code, a non-profit dedicated to supporting women in technology. Citing the growing importance of technology across career fields, Percival called the launch of the new doll timely and unsurprising. “I feel confident because a couple of years ago they launched computer engineer," she said, "and they had boys solving it and I am hoping that in this they have really thought through it and ensured it really is an empowering experience for young women and girls."